One of my biggest goals in life is to become psychic. Writing it down like that, though– so stark, bald, and unadorned– just sounds wrong. Also, it doesn’t capture the true essence of what it really is I long for. I yearn to be consciously connected with my highest inner wisdom. It’s my intention to reclaim my intuitive knowing, as I am– by nature and by birthright– a profoundly intuitive being. It all starts with a shift in perspective. 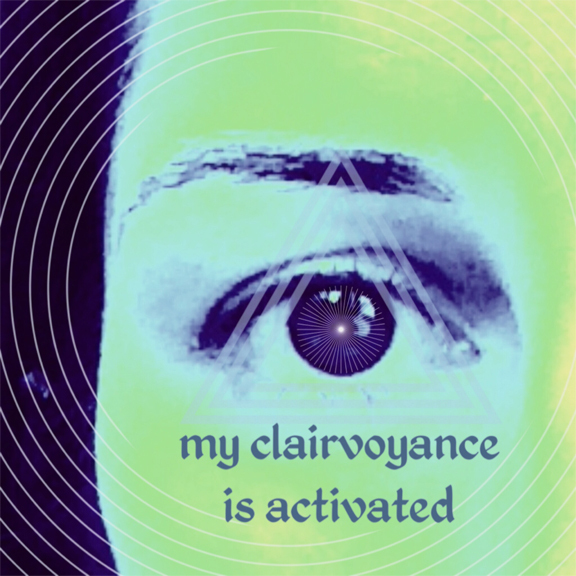 Background: I’ve always been fascinated by the metaphysical and intuitive arts, but up until recently, I believed (as many people do) that clairvoyance was a gift that was divinely bestowed upon a select, chosen few. Either you emerged from the womb as a Psychic or you didn’t, period. And even though I accepted the idea that everyone had access to their “intuition”– in a sporadic, lukewarm, pretty vague sort of way– I firmly believed that capital-I Intuition was something different. “Real”, capital-I Intuition wasn’t child’s play. No way, man– it was messages delivered through burning bushes and angels chorusing in your ears. Real Intuition was being able to predict the future, see dead people, and possibly even select winning lottery numbers to boot. In other words, it was P.R.O.F.O.U.N.D. I loved (and still love) having psychic readings done on myself. I craved (and still crave) access to that slippery, ethereal wisdom. I was even tempted to hire my own, personal Psychic to provide weekly readings for me. #Fact. But one thing I knew for certain was this: I was neither Psychic nor Really Intuitive. I was sensitive, yes. Perceptive, yes. Something bordering on small-i “intuitive”, yes. But magically endowed with supernatural powers of Intuition? Nope. Someone who could accurately answer your burning questions on a Psychic Hotline for $1.99 a minute? Um, definitely not. Recently, though, my thinking around intuition began to shift. One of the biggest catalysts for this came during, ahem, an intuitive reading I received from my mom’s doctor, Dr. Divi Chandna. (Oh, the irony…) You see, I consider Dr. Divi to be the Gold Standard of Intuitive Wisdom. 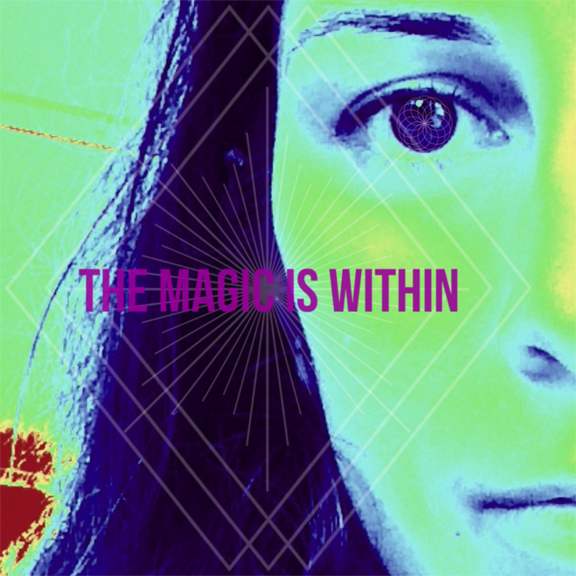 She’s practically a fountain of psychic clarity, and I was shocked– nay, flabbergasted— to discover that she had only tapped into these deep intuitive gifts of hers less than a decade ago, while she was in her mid-thirties. You mean she wasn’t born with it?, my mind ventured in disbelief. Oh, but she was, came the answer from Divi herself. All of us are born intuitive, in fact, but many (if not most) of us disconnect from our intuition early on, as a subconscious strategy to keep us “safe” as we are growing up, whether that safety is figurative or literal. She went on to tell me that I was actively intuitive when I was 3-4 years old, but that gradually, I learned to disconnect from my intuitive wisdom as a strategy to help me excel in school (where psychic information wasn’t exactly compatible and/or encouraged). I further disowned my intuitive nature during highly taxing periods in my life, such as when my parents divorced in 1999, during my entire Masters’ Degree (2004-06), and when I experienced a miscarriage in 2006. Anyway. Back to paradigm shifting! Most recently (i.e. last Wednesday, the date of the new moon), I excitedly plunged into the February edition of Soul School Monthly, which– in case you don’t already know– is a brilliant, wildly on the mark (and free!) series of e-books written by the astonishing Lauren of Inner Hue. A new edition on a different soulful topic is released every month on the new moon, and this month’s series is not-so-coincidentally dedicated to Intuition. Huh. It’s funny (and yes, horrifying) to realize how blind I have been to my own intuition for so long. All these years, I have been searching vainly outside of myself, admiring and even feeling envious of people who have their intuitive shizz together, so to speak. I’ve wanted so badly to be like these psychics and intuitive masters, positively aching to uncover the “secret piece” that would allow me to join their exclusive club. And all this time… I’ve been intuitive without even knowing it. Psychic Sneak Attack! If, like me, you love the idea of “being intuitive” but currently feel stuck in your head and/or totally disconnected from your inner wisdom, here’s what I would lovingly suggest: change your definition of intuition. Based on my recent personal experiences, I can say with confidence that this exercise is the easiest thing you can try that will yield the greatest, most noticeable results. Suddenly, you’ll discover that you’re an Intuitive Powerhouse! Seriously: Why not let everything ‘count’ as intuition? PS: Call me a psychic, but I feel like you want to sign up for my weekly newsletter (if you haven’t already!) Each newsletter features my latest blog post plus a special, secret love note that I only share with my subscribers. Join the list by entering your name and your best e-mail address below. Many thanks!